Help us find the Best Green Gift for Christmas 2011 and you could win a $25 gift certificate at Lavish & Lime! We've decided to put this all important decision - perhaps the most important gift pick of the year - in your trusted hands, knowing everyone has an opinion and every opinion counts. Simply tell us which is your favourite Christmas gift from our eco collection. We'll put your suggestions to a vote and depending on the number received, may have to whittle them down a wee bit first. The person who suggests the winning gift wins $25 well in time to help with the Christmas shopping. If more than one person suggests the winning gift, the first person to do so will win the gift certificate. Answer the following question and a $25 Lavish & Lime gift certificate could be yours! Which is your favourite gift for Christmas at Lavish & Lime? It can be from any category on our site. You could have bought it, received it, or simply seen it on our site! Do you like it because it's unusual, it's good for you, it's good for the environment or you simply think it's a great gift? To view all gifts, click here. Leave your answer in a comment below, email it to us at customerservice@lavishandlime.com with 'Best Green Gift for Christmas' in the subject line or post it on our Facebook Page. Please be sure to include your name, email address and telephone number so we can contact you if you win. One entry per person. Finalist gift suggestions will be chosen by Lavish & Lime and posted on Facebook and in a blog post for a vote. 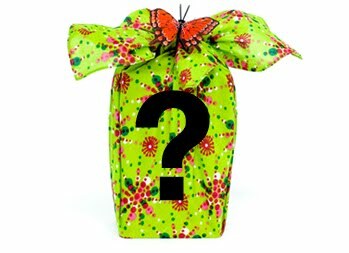 The suggested gift with the most votes will be named Best Green Gift for Christmas 2011 and the first person that suggested it named the winner. Deadline for entries is midnight PST Saturday, November 26th. Voting will take place November 27th-30th. The winner will be notified and announced on December 1st. my favourite gift would be the sweater sleeve scarf! My fave gift for Christmas is the bubble fish shower curtain - so fun! I would love tge new apple cider vinegar shampoo! I'd love the Monkey Scarf! I love all your stuff but if I had to choose just one gift as the best it would be Reusable Produce Bags!! they would save me so much plastic!! i would say hopscotch nail polish… because the colours are awesome and this is the perfect gift for all the young girls AND a great stocking stuffer. Plus safe - WOOT! My favourite Christmas gift is the Pull Toy - Tanga the Kangaroo! Soooo cute! I think theBamboo Grow Pot would make a great gift! I know I would love to receive one! I would love love love to receive three of each of the scents available in the Trillium Scented 100% Soy Tea Lights - 6-pack! I love soy tea lights but they are SO hard to find locally!!! 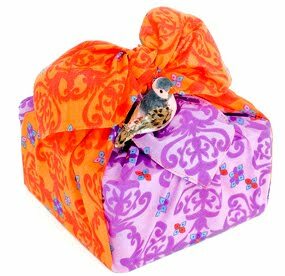 I think the Brown Bird linen insulated lunchbox is the perfect Christmas gift. I would love one!